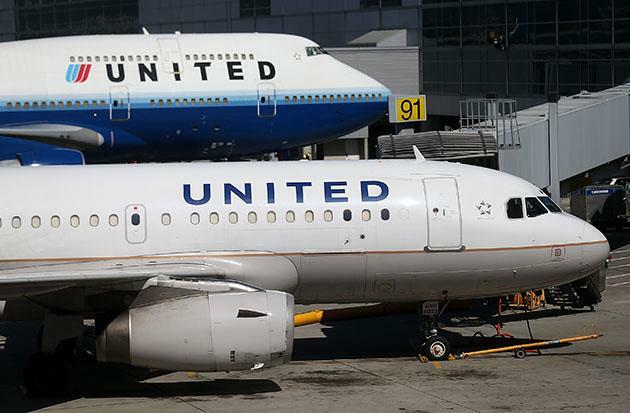 A family traveling from Denver to Baltimore on United claims that their flight was diverted by the captain because the parents requested that the in-flight movie, "Alex Cross," be turned off. The parents, thus far unnamed, wrote a letter to The Atlantic about the incident. According to the letter, after the flight took off, the flight crew lowered the TV screens and began playing the PG-13-rated cop thriller starring Tyler Perry. The parents, whose children are 4 and 8, believed the film to be too violent for their kids. "Alarmed by the opening scenes, we asked two flight attendants if they could turn off the monitor; both claimed it was not possible" and would be a nuisance to the people behind them. At this point, according to the letter, the people behind the parents spoke up and said it would be fine with them if the movie screen was closed. "Both flight attendants, and later the purser, claimed that they have no authority or ability to change or turn off the movie. The purser did, however, agree with us, as did many more of the passengers around us, that it is patently inappropriate to expose children to such content." The parents wrote that throughout the discussion, no voices were raised and everyone was civil and polite. The parents apparently accepted that the movie was going to be shown. They attempted to distract their kids from the "horrific scenes on the movie screens," they wrote. Which makes what happened next so strange. "More than an hour later the captain [name withheld for now] announced that due to 'security concerns,' our flight was being diverted to Chicago's ORD," the letter continued. Little did the parents know that they were the apparent cause for the diversion. The captain, apparently, felt that our complaint constituted grave danger to the aircraft, crew and the other passengers, and that this danger justified inconveniencing his crew, a few of whom "timed out" during the diversion, and a full plane of your customers, causing dozens of them to miss their connections, wasting time, precious jet fuel, and adding to United's carbon footprint. Not to mention unnecessarily involving several of Chicago's finest, two Border Protection officers and several United and ORD managers, and an FBI agent, who all met us at the gate. After we were interviewed (for less than 5 minutes), our identities and backgrounds checked, we were booked on the next flight to BWI, and had to linger in the terminal for hours with our exhausted and terrified little boys. United flight 638 from Denver to Baltimore diverted to Chicago O'Hare after the crew reported a disturbance involving a passenger. The flight landed without incident and the customers were removed from the flight. We reaccommodated the customers on the next flight to Baltimore and have since conducted a full review of our inflight entertainment. The parents are seeking an explanation for what they believe was a vindictive act on the part of the captain, as well as the airline's decision to show violent films around children.